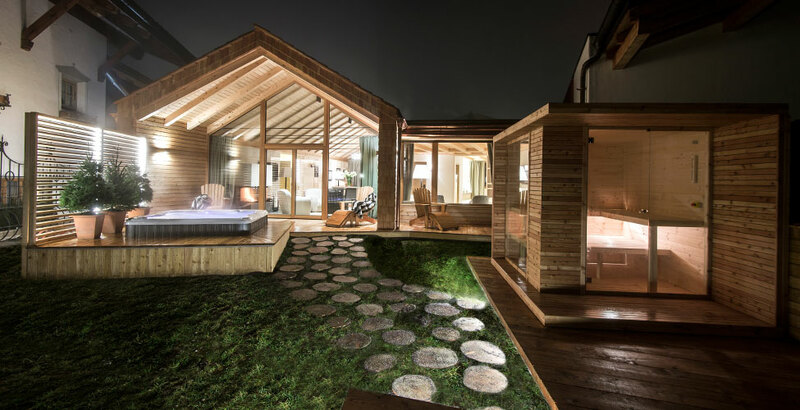 Three luxurious double bedrooms, large living room with exposed beams, outdoor Jacuzzi and sauna. The essence of the mountain together with the elegance of luxury. 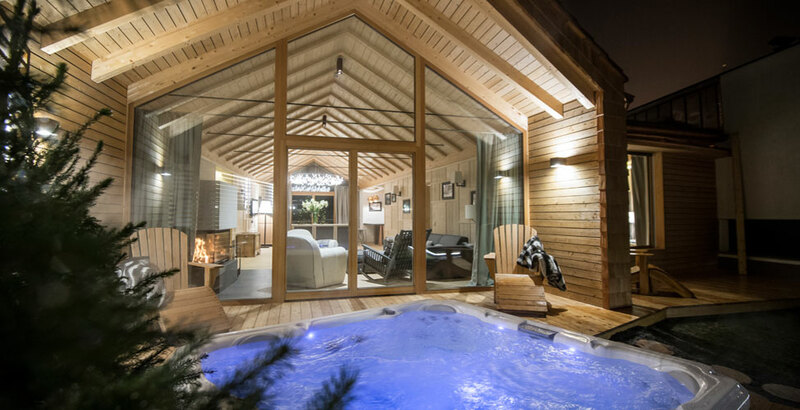 Chalet Zeno is a contemporary mountain-style accommodation boasting a spacious living area with a cozy sofa and seating area facing the fire place and the private garden with its outdoor Finnish Sauna and Jacuzzi. A fancy bar divides the living area from the dining and kitchen area. 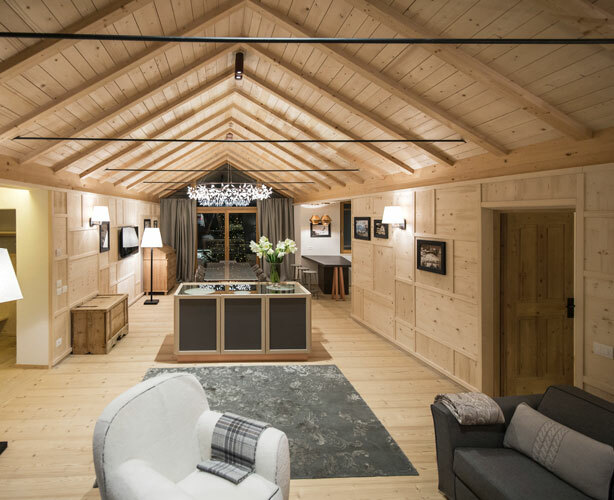 Chalet Zeno comprises one master suite, one suite and one De Luxe Room, for a maximum of 7 to 8 guests. The suites feature generous bathrooms with hammam shower. For inquiries and further details, please contact our booking department. 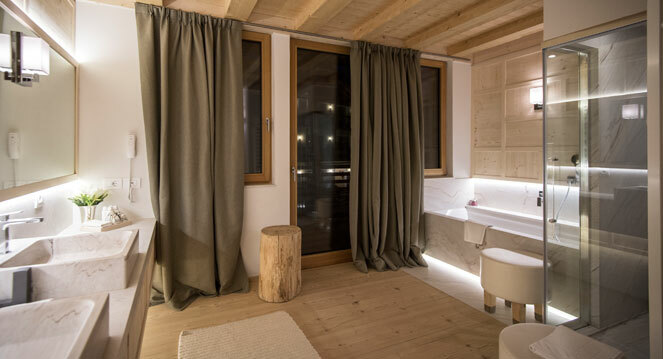 Ideal for elegant relaxing holiday in San Cassiano. 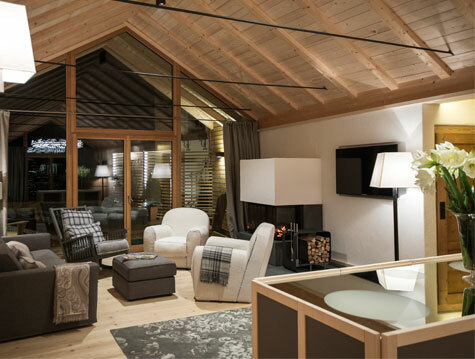 The Châlet Zeno is separated from the Hotel Rosa Alpina and offers exclusive comfort with a modern style.